As our little one's get older and start eating more finger food, they suddenly seem less interested in purees. This can be very frustrating as it is so easy to make sure that Baby gets his essential vitamins and minerals in one puree. Here's an easy way to have finger food and purees all in one. 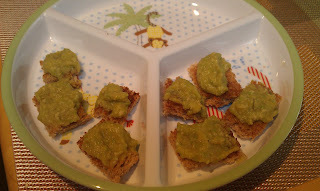 Spread your little one's favorite puree on a slice of whole wheat toast and cut it up into bite size pieces. Baby will be happy he's getting finger food, and Mommy will be happy that her little one is eating veggies, fruit or whatever you mix! This is a great snack for babies 8+ months. There exists naturally many argument in relation to business oriented or even homemade baby foods. Both equally over the counter well prepared as well as homemade little one foods have emerged while healthy ways for children. 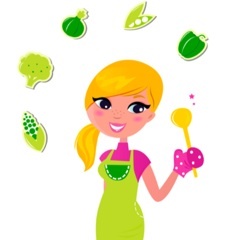 Nevertheless, handmade little one foods provides the edge within the diet front. We provide you a basic guideline to making homemade baby food. We are experts who have made baby food for our three kids. We look forward to providing you the basics.